Buy a button and support the cause! 100% of proceeds go to Miami Peoples' Climate March. On April 29 we are calling on everyone to join us for a massive march to bring our demands to the streets of Miami. During the first week of Trump's presidency, he advanced the Keystone XL and Dakota Access pipelines, put a gag order on the EPA, restricted access to reproductive healthcare around the world, put a ban on immigration and legal residents from 7 countries, and took steps towards building a wall. It's clearer than ever that we cannot just fight to stop climate change, we must speak out against injustice anywhere we see it. The same government and corporate interests that work to restrict rights and threaten the safety and well-being of Muslims, people of color, women, and the LGBTQ community simultaneously back the fossil fuel projects that destroy our planet and make our communities sick. We cannot have a healthy planet when our communities are robbed of their basic human rights. We will not allow climate deniers in Trump's cabinet to threaten the planet and we will not allow attacks on immigrants, communities of color, women, the LGBTQ community, and workers to become the new normal. Our fights are tied together, and we will only succeed together. That's why on April 29 we are calling on everyone to join us for a massive march to bring our demands to the streets of Miami, FL. We will march for our air, our water, and our land. 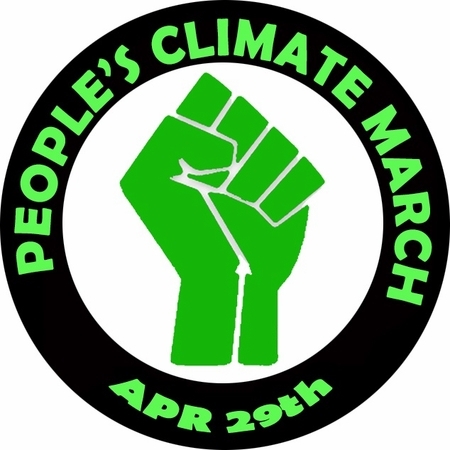 We will march for clean energy jobs and climate justice. We will march for our communities and the people we love.